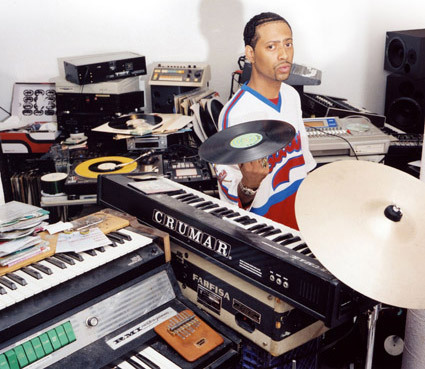 Together with Egon, general manager of Stones Throw records, and turntablist J Rocc he will play one night in the beautiful venue La Bellevilloise in Paris. 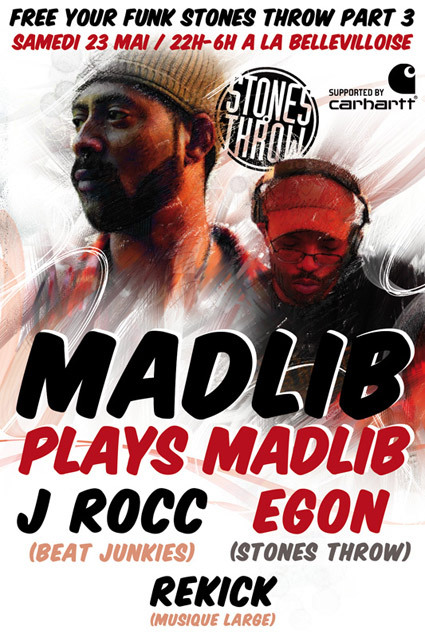 Madlib himself will present Madlib – which means that the Californian Jack of all trades will drift throught his versatile opus that longs from the HipHop he produces under his moniker Quasimoto to Funk, Electro and New Wave that he delivers as Captain Funkaho. Also vanguard sample based Beatscience out of his famous Beat Konducta sequel will enrich the show. But whatever will happen: you can be be sure to get some exceptional sounds from outer space.